Taking a hot air balloon ride is often a beautiful experience. There are views of the land below that you likely wouldn’t be able to see, such as the rooftops of homes and businesses and vast fields. When you’re in the air in the balloon, there are a few tips to keep in mind so that you have the best flight possible. Before you get in the air, you should be prepared to set aside a budget for the flight. 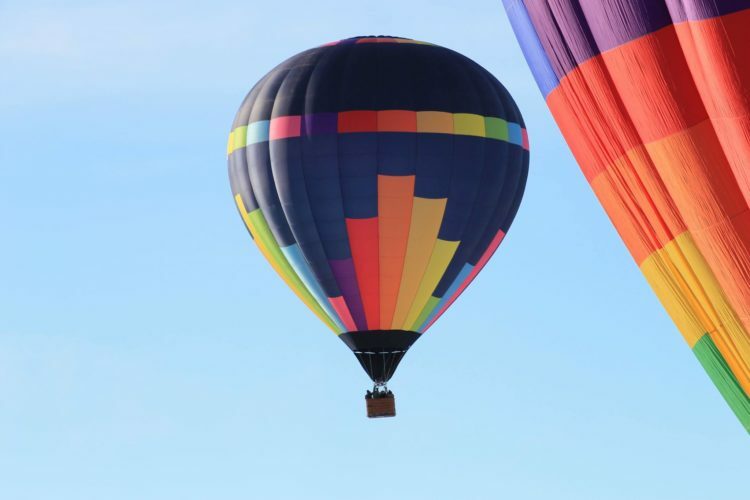 You can visit sites like https://napavalleyballoons.com/ to find out basic prices as well as prices for packages that include things other than a balloon flight. Keep in mind that some balloon rides have prices based on each person and others based on multiple people. Some companies offer discounts if there are a few people in the group, but there is a limit as to the number of people who can fly at one time. Your flight will depend on the weather conditions. Balloons can’t fly in high winds, rain, and other types of weather, so keep this in mind if you have a specific day when you want to go in the air. Many companies will offer a date that you can fly again if the weather isn’t cooperative. When you’re in the balloon basket, you’ll be in close quarters with the pilot and the other people who are there. This isn’t a time when you should be afraid to talk to people. You might have a little space for moving around so that you can see over the side of the basket, but the overall reason of going up in a hot air balloon is usually so that you can have the feeling of exhilaration while you’re in the air looking at all of the details of what’s below you at one time. While you’re in the air, the pilot can maneuver the balloon so that it turns, giving you a better view of the sights below. Although you might think that a balloon in the air would be rocky at times, the flight is rather smooth for the most part. It’s similar to going up or down a hill while you’re in a vehicle. Since balloons can’t fly in high winds, it’s beneficial for the flight so that the basket doesn’t sway heavily back and forth. One of the times when you might need to hold on to the side of the basket is when you land. It could take two or three times for the basket to finally come to rest on the ground, but the pilot will do everything possible to make the landing smooth so that you don’t feel any bumps. Remain in the basket until you’re told to get out. Sometimes, the balloon itself will stay upright while at other times it will tip over. Make sure you dress for cooler temperatures because the air in the upper atmosphere will be colder than what it is on the ground. Take a camera with you so that you can remember the experience.